ARE YOU READY FOR AN AMAZING EXPERIENCE IN GHANA, WEST AFRICA!? The annual international trip for 2019 will be in… Ghana! Urban Events Global would like to invite you on our annual international trip for New Years! 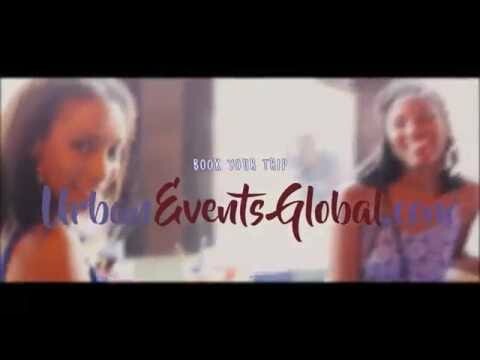 The Urban Events Global annual trip provides you with an opportunity to connect with each other and network over a weekend that includes luxury accommodations, meals, drinks, and all the parties and cultural experiences you can handle. Today we will head to Cape Coast. We’ll visit Elmina Castle, Kakum National Park, and have lunch/dinner on the beach! New Years Eve! We’ll start the day by visiting the W.E.B. DuBois Centre in Accra, head to the Accra Arts Center and finish up with fireworks on the beach! Have you heard of Slow Foods Ghana!? If not, you’ll learn today! Enjoy your last day in Ghana, and let’s head to the airport! *The agenda is subject to change… with that being said, of course, we’ll be enjoying the nightlife daily; no need to post that on the daily agenda! When will I receive my hotel itinerary? Specific 4-star hotel accommodations will be received within 3 weeks of the trip with our trip packages and details. The yellow fever vaccination is the only vaccine required to enter the country of Ghana. After receiving the vaccination you should receive a yellow card confirming your vaccination. Along with your passport and visa, you must have your yellow card with you to enter the country of Ghana. If you’re unable to get vaccinated due to medical reasons, please consult with your primary care provider on your options. Furthermore, consult with your primary care provider regarding any additional travel vaccinations. As an option, local travel clinics may be able to assist with travel vaccinations. Check with your medical insurance regarding any travel vaccinations that may be covered. The CDC has stated there is a yellow fever vaccination shortage. We recommend obtaining your yellow fever vaccination soon. All packages are non-refundable due to contractual obligations unless travel insurance is purchased. Travel Insurance is available for an additional cost per person. Refunds will not be provided due to a roommate’s cancellation. Trips can be transferred to another person for the existing trip only (request via email). It is your responsibility to find a replacement for your package and provide replacement information via email. We offer flexible partial payments as a courtesy and convenience at an extra charge to the plan. To purchase Travel Insurance, click here! Airfare is not included, but you can find cheap flights by clicking here! You will be solely responsible to obtain your flight. If you miss your flight, it is your responsibility to reach out to the hotel directly, and Urban Events Global to let us know that you are still arriving, or it will be assumed that you are forfeiting your room. Urban Events Global is not responsible for any changes in flights or cancellations. All deposits and payments are non-refundable due to hotel and transportation contractual obligations unless travel insurance is bought.